Signature Design by Ashley Tamonie Chair Side End Table. Made with Mango veneers and select hardwood solids in a medium rustic finish. Thick bread board top with solid wood edges that have been chisel gouged significantly for an aged effect. 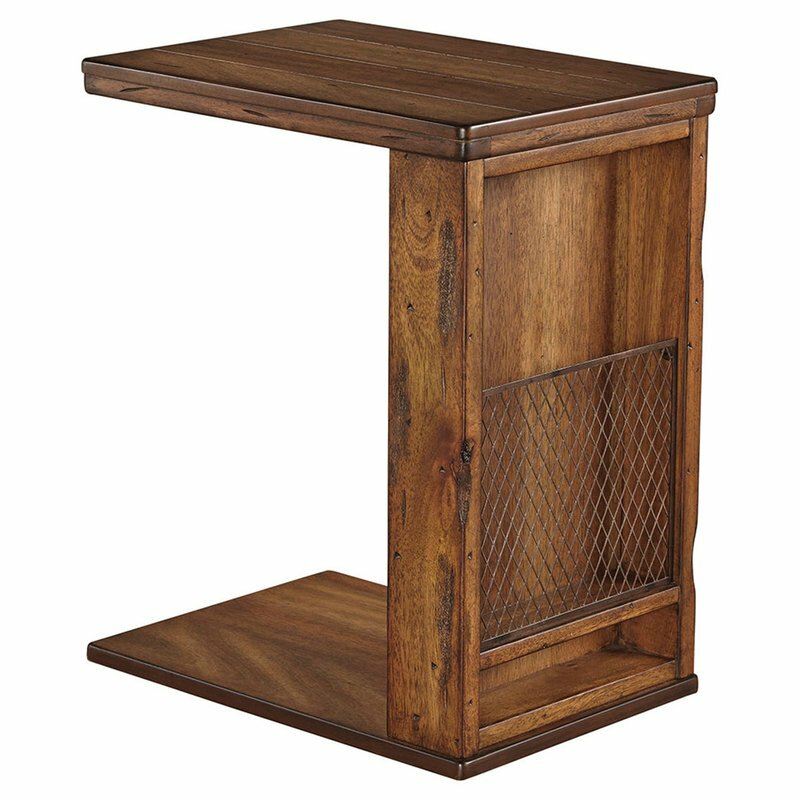 The chair side table features reclaimed look diamond pattern wire mesh door panel. Cases feature simple dark bronze color knob. The metal mesh grille creates a perfect landing place for magazines or tablets and a cantilevered design that allows the table to slide over the sofa seat for a convenient table surface.